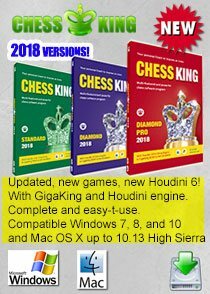 This special chess news post is for all humans (and bots) about the World Chess Blitz Championship among Chess Robots that will take place on May 19 (12pm – 17pm Moscow time). This incredible World Chess Blitz event will be held on the Strastnoy Bulvar. 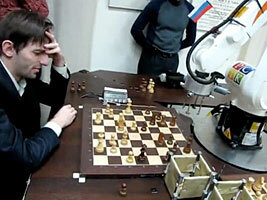 Two robots will fight for the title of the World Robot Blitz Chess Champion. 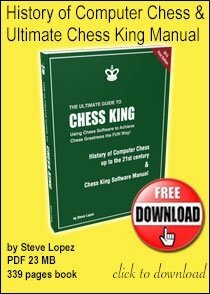 The first is called ChessKA and is the creation of Konstantin Kosteniuk, honored chess coach of the Russian Federation, who is an active inventor and has dozens of registered patents. 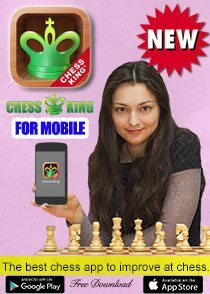 ChessKA is the first chess playing robot who has beaten top human players on a real chess board in blitz (5 minutes per game). 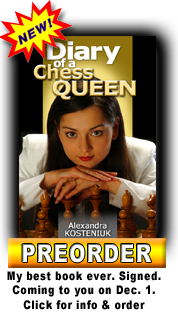 This ChessKA is already well-known among chess amateurs for its chess games against Vladimir Kramnik, Chess Queen Alexandra Kosteniuk, Sergey Karjakin and some other well-known grandmasters. Those battles between human and robotics chess players were quite hard for the humans, whose best ability was to make a draw! 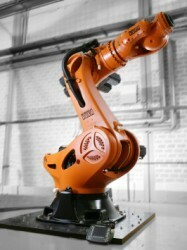 The other robot, KUKA Monster, was constructed just a short time ago by engineers of one of the greatest industrial robots building corporation -- KUKA Robotics. They decided to challenge the Russian invention, because blitz chess is considered as an excellent test for intellect, accuracy and speed of their production. Some other producers of industrial robots have shown an interest in creating chess playing robots too, like FANUC (Japan) and ABB (Sweden). The games will be played according to FIDE rules with time limit 5 minutes for each participant. 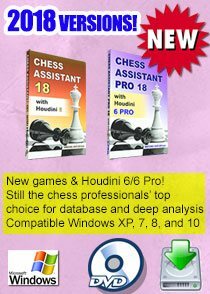 A total of 10 chess games will be played and the winner will be proclaimed the First Absolute World Chess Blitz Champion. The organizers are planning to make such event annual and hope for interest of industrial robots corporations in creating of ChessRoboLeague like Formula One for car producers. Also an exhibition blitz match will be played between KUKA MONSTER and Alexander Grischuk, former World Blitz Chess Champion and one of the best Russian and world chess players. 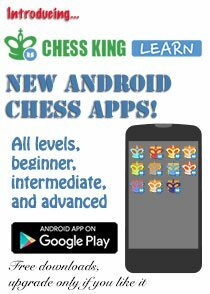 The event is organized by: Russian Chess Federation, Center of physical culture and sports of the Central District of Moscow, “Tigran Petrosian” Chess Club, collaborating with the Foundation for Support of Chess Creativity, Dvorkovich Chess Lounge, Chess Queen, and Chess King chess software. We will soon know who is the best and fastest chess playing robot in the world! Why chess robots have trouble 'grasping' the game! great where can we watch it live? 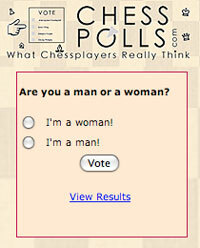 awesome awesome - will we ever have bughouse chess with a human and machine partner? Let's have ChessKA beat KukaMonster but hopefully Grischuk would win. Sorry am with the humans.